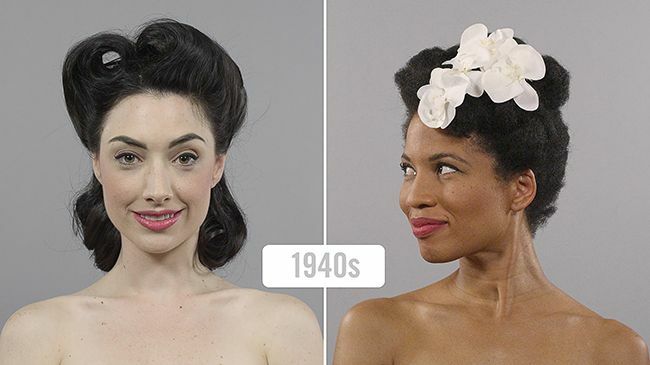 For the past two months, a video series entitled 100 Years of Beauty, featuring historic to modern beauty looks among different countries, has had everyone talking, sharing, posting, and tweeting. These riveting videos portray ten different looks over 100 years in a 60 to 90 second time lapse. Featured countries so far have included the United States, Iran, North and South Korea, and most recently Mexico. Naturally, no pun intended, we were intrigued and wanted to know who was responsible. Here is our one on one interview with the Co-Founder and Creative Director of Cut.com, Mike Gaston. Cut has created several videos from parenting, to relationships and a few political videos. What was the inspiration behind creating the 100 Years of Beauty series? My producer, Blaine, pitched the idea of doing a time lapse capturing women going through different styles over time. Really it was all about featuring technique (time lapse) through the lens of fashion, but as we began the process of researching different looks it became clear that there was an opportunity to create something a bit more contemplative. By doing subsequent episodes on people from different cultures, genders, sexes, body types, and sexual orientations we could create a series that invited the audience to do their own reflection on how culture understands beauty. We decided that we wanted to show how cultural standards of beauty change over time and then get people to question the influences that cause the changes. At the end of each video viewers are asked to comment and request which country he or she would like to see next. How does Cut decide which country to choose out of the thousands of requests? It’s fairly arbitrary. A lot of it depends on how long the research will take and whether or not we feel confident in our ability to be authentic and respectful to a culture. Though, the comments have had an impact. There are a few countries we weren’t originally considering that are now on our list. Russia is one. The biggest thing viewers want to know is how is the research conducted? What components go into producing 10 different looks to accurately portray beauty in each country over the past 100 years? There is a ton of research put into every piece. Every video has at least one researcher attached to the project. That researcher works with the producer/director and the hair and makeup artists to determine the looks and the justification behind each look. In the case of our piece on Iran we had two researchers. 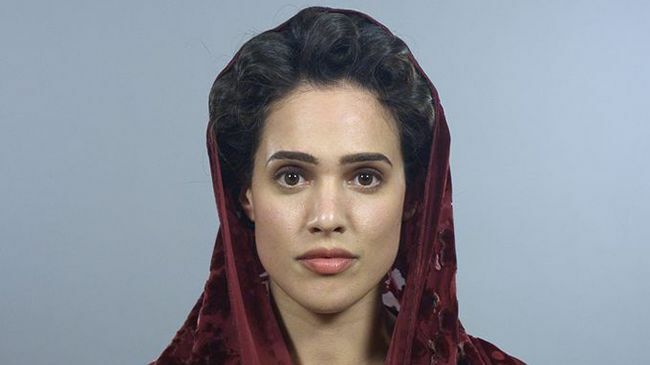 One of whom was recommended to us by a professor in the Persian studies department at the University of Washington where she is pursuing a major with a focus on the history of fashion. She also happens to be Persian. For a recent piece on the Philippines I tapped my cousin who is a PhD candidate in Anthropology at the University of Washington (UW). He is also half Filipino (as am I). The research goes out to people to review and critique before we decide on our looks. Every bit of research is sourced. Some of this sourcing comes from the internet but most of it is gathered offline from actual brick and mortar libraries like Suzzallo at the UW. Comments on YouTube, good and bad, have really sparked conversation around what is considered the standard of beauty for each country. Did Cut expect the overwhelming feedback from viewers and does it affect how Cut creates videos going forward? We thought this series could be popular, but we were all surprised by the response. We get it now. At its best this series can highlight major cultural shifts in a way that’s respectful and honest, hopefully even insightful. At its worst it can be seen as superficial and even cartoon-ish. Style is subjective and everyone thinks they are experts on their own country, so I’m no longer surprised by the radical differences of opinion our work tends to spark. The feedback hasn’t changed the way we approach the work (we always try to make videos that are true), but it has had an impact on how we view some of the pieces after the fact. I love every comment whether it’s an instant reaction or if it comes from a place of sincere reflection. I’m grateful that people spend any time with our videos and I try to read every comment. That’s become impossible. But I will go through and spend a portion of my day reading and responding. Continuing the topic on the standard of beauty, how significant are these videos to educating the masses to unknown beauty trends in other areas of the world? I don’t know. To me these pieces are less about identifying different trends and more like every day-anthropology. These videos aren’t really about seeing what’s next as much as they are about acknowledging what has already come to pass. To me these pieces are less about identifying different trends and more like every day-anthropology. Can you tell us what's next for the 100 Years of Beauty series? A particular country? Viewers have also commented on a male version of the series. Is this something Cut would consider as well? Sure. Our piece on the Philippines is coming out next and stars my cousin April. We’re also planning some very different pieces that aren’t necessarily country focused including a couple of pieces featuring male looks. We've been planning the male looks since our very first piece. 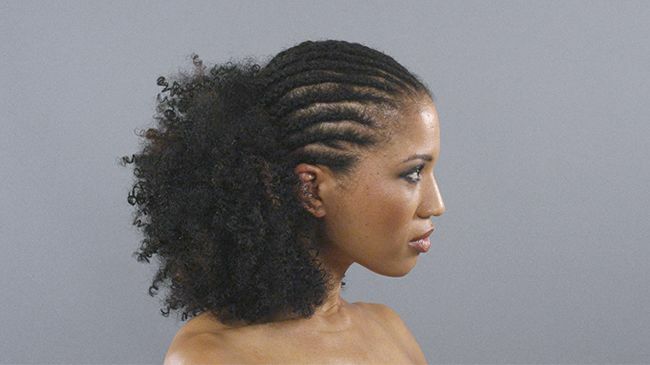 The biggest obstacle here is in finding models willing to let us cut their hair! If you haven’t seen the videos, check them out for yourself on YouTube. Have you been following this series? We love it!